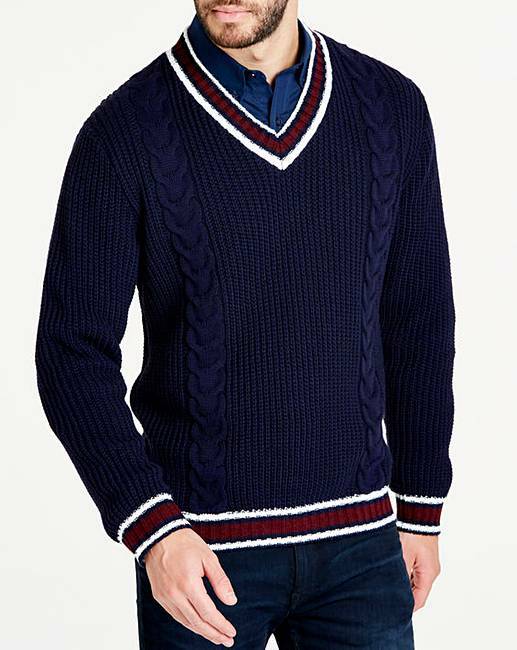 The navy cricket jumper from Jacamo is the perfect staple for your autumn and winter wardrobe. 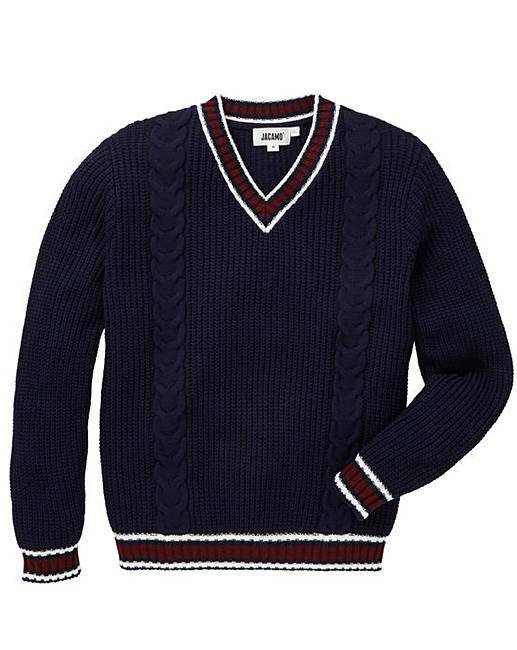 This v-neck jumper features ribbed neck, cuffs and hem. 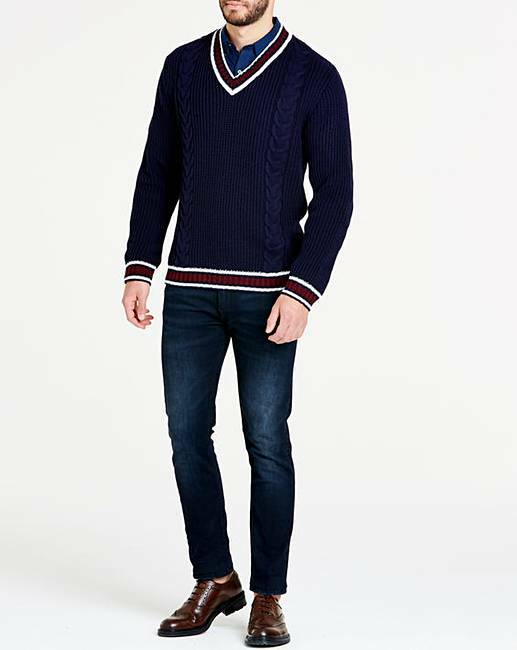 Style over a shirt with dark jeans and shoes for a preppy look.